Imagine this blog post being delivered by messenger pigeon. 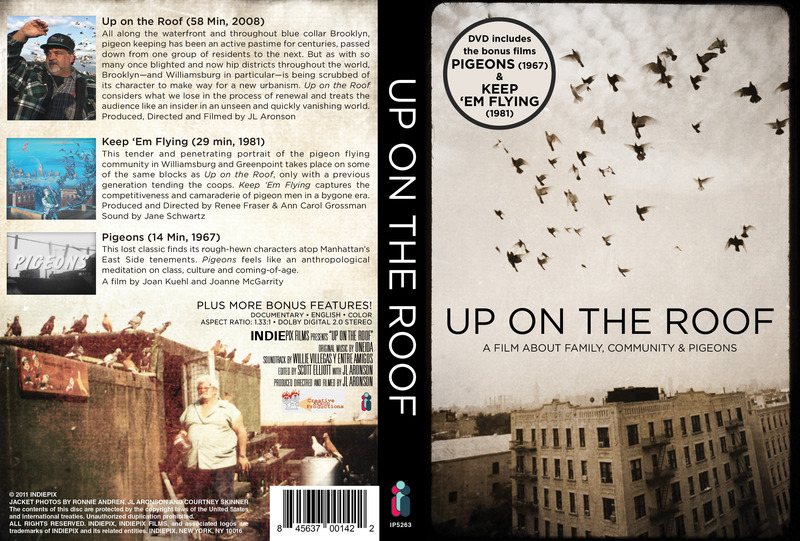 Now imagine that my 2008 film, Up on the Roof, had finally become available on DVD and in downloadable format. Well, which would you prefer to be true? Up on the Roof is finally widely available, courtesy of IndiePix Films. The download gets you the one-hour film while the actual DVD comes packaged with two additional films on the same topic, which is, roughly speaking, people keeping pigeons on New York tenement rooftops. Only the other films were made in 1967 and 1981. Other extras include a recounting of the history of pigeons in America, an academic discussion of Brooklyn gentrification and scenes from the battle against over-development in the Williamsburg section of that storied borough.